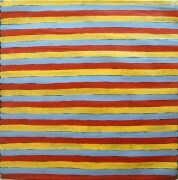 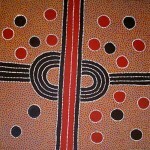 Lindsay Bird Mpetyane is an important Utopia artist, respected Elder, law man, and head of the Mulga Bore Outstation. 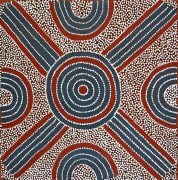 Lindsay was the only male to participate in the silk batik project in Utopia in the 1980s and shortly after he began painting on canvas. 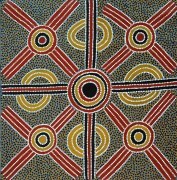 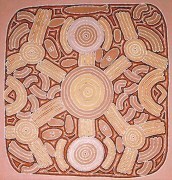 He has cultural responsibility for a number of totems, utnea (carpet snake) and bush plums are the major dreamtime themes depicted in his paintings. 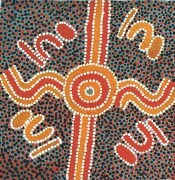 Lindsay is a confident artist, telling his dreamtime stories using acrylic paint on canvas in bold ochre (natural earth) colours, achieving technical brilliance and balance.